This romantic hideaway magically perched atop a ravine overlooking the mystic Wos River is the ideal secluded location for a couple or small group. Some centuries ago Javanese monks upon discovering the healing properties of the area settled in for meditation and healing practices. Villa 3276 caters for each guest's needs with its abundant ambience and luxury with a touch of classic elegance. Its dramatic river gorge and breathtaking 180 degree tropical jungle valley setting, friendly staff and rustic charm provide total comfort making it a relaxing retreat for all. Each guest is assured of a real holiday with peace and serenity to recharge their batteries, especially for those getting away from modern busy urban life. 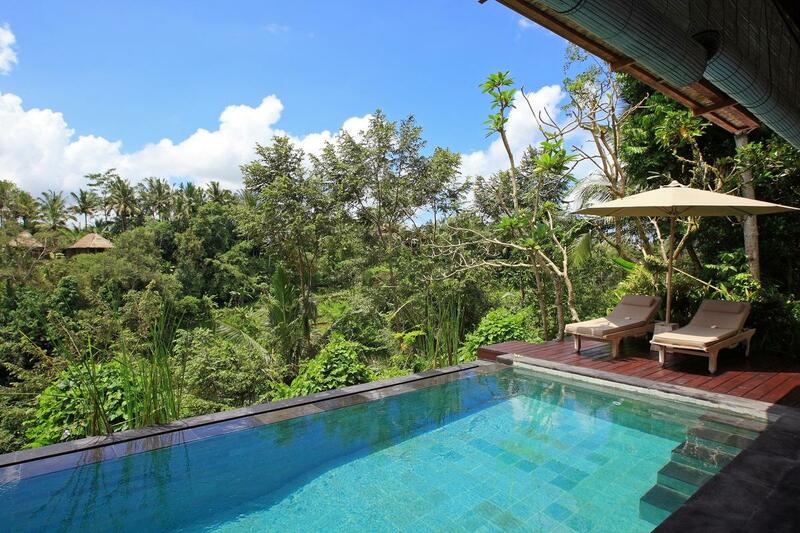 Ubud Private Villa Rental Villa 3276 is situated in the midst of a charming traditional small village is truly blessed with all the gifts that mother nature has to offer. Our guests enjoy seeing colourful butterflies and birds whilst taking in the fragrance of the frangipani trees on the gentle tropical breeze. At night marvel at the stars and watch the fireflies. In the morning absorb the spiritual energy from the mist that rises up from the sacred river deep down in the valley below. The perfect escape to revive and cleanse your soul and undoubtedly a special retreat to experience the closest place to heaven on earth. There are many places you might want to visit but this is the only one that you will want to come back to time and time again. 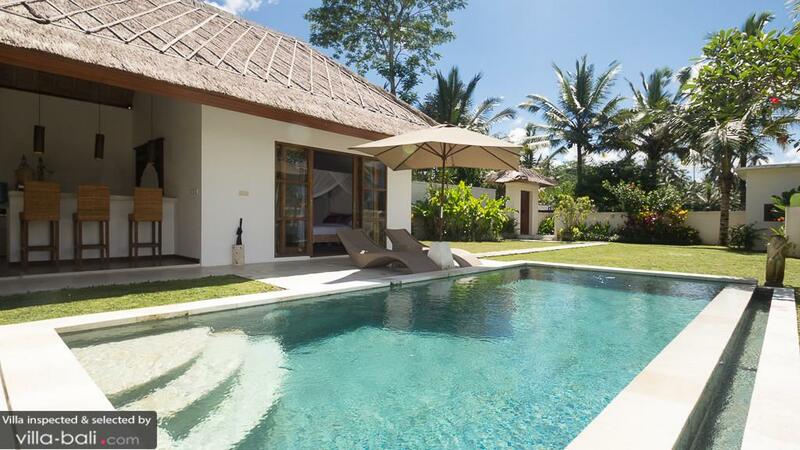 The Villa Unlike a hotel or hotel managed villa, most of the private villas in Bali are originally built and designed for each owner to enjoy staying for themselves. 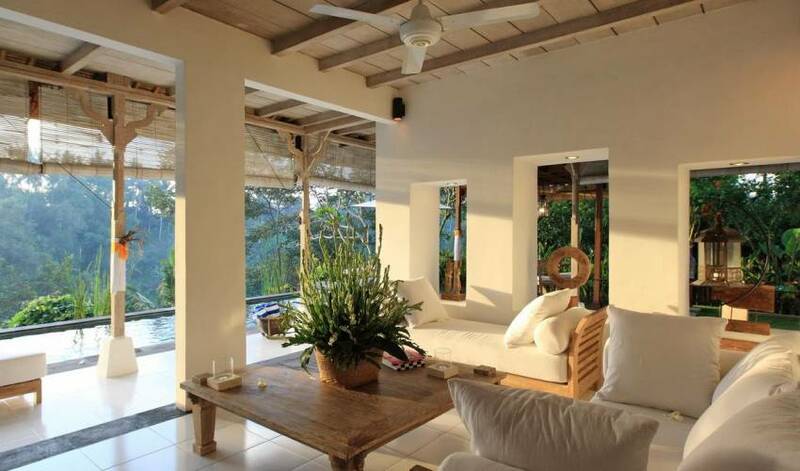 Therefore, each private villa has more distinctive characteristics reflecting upon the owner's taste. What is different from staying at a hotel? The answer is it makes you feel at home as if it was your own holiday house! 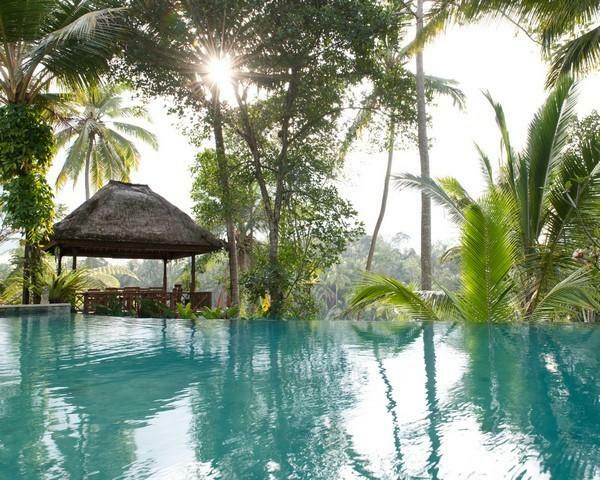 Imagine this, you have your own pool, a whole house and villa staff to cater exclusively for your needs only. This enables you to enjoy warm hospitality from the friendliest of staff who have a full understanding of the importance of your privacy. 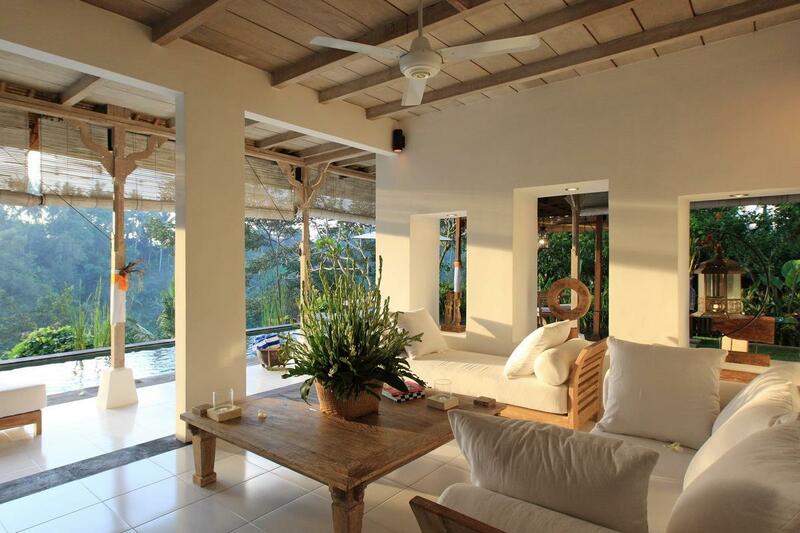 The Villa is a large two story home with tropical gardens and pool offering indoor and outdoor living. An indoor living room which is equipped with a large screen TV, DVD and CD player for your entertainment. Outdoor dining area and two wooden deck areas by the infinity pool. Main bathroom featuring indoor bath and outdoor shower. The covered outdoor dining pagoda is the perfect spot for breakfast whilst enjoying the fresh morning air and dappled sunlight. In the evening, indulge in a romantic candlelit dinner by the pool and listen for the traditional gamelan music that might travel across the valley. The main bathroom is for pampering. Imagine soaking in a large terrazzo bathtub surrounded by candles, millions of stars shining above and the sound of bamboo leaves rustling in the balmy breeze. Luxuriate with our natural aromatherapy products and thick plush towels. 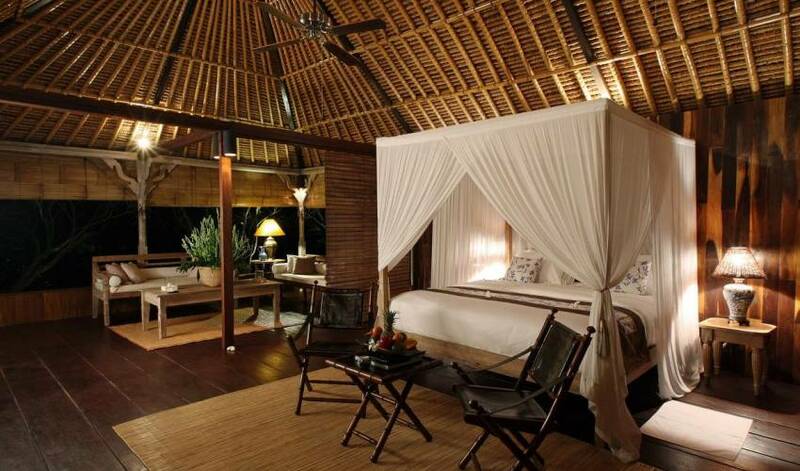 Overlooking the stunning jungle valley is a huge airy bedroom, living area, dressing room and ensuite. The bedroom and living area is the ideal place to relax and chill out. Enjoy reading over a cup of refreshing ginger tea and Balinese cake that our staff will gladly prepare for you. 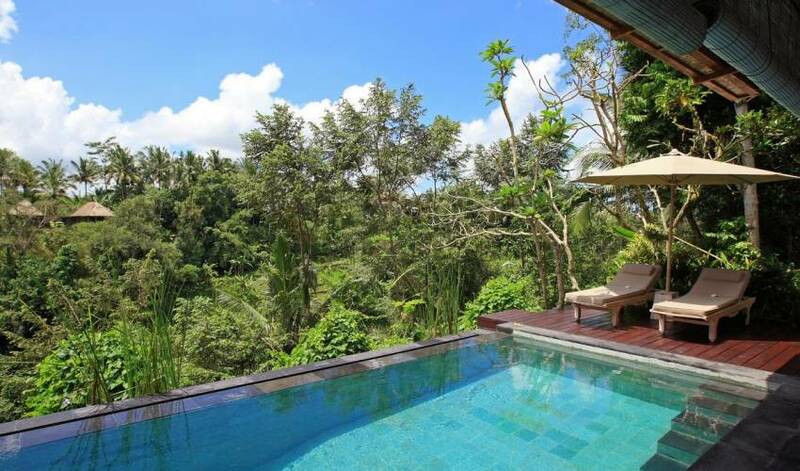 Surrounded by many tropical trees you have the sense of living in a tree house. For your ultimate comfort the four poster king size bed consists of top of the range mattress and pillows covered with crisp Egyptian cotton sheets. Chinese lamps and mosquito net create an exotic and colonial atmosphere respecting the fusion of beauty and classic charm with the subtleness of modern sophistication. 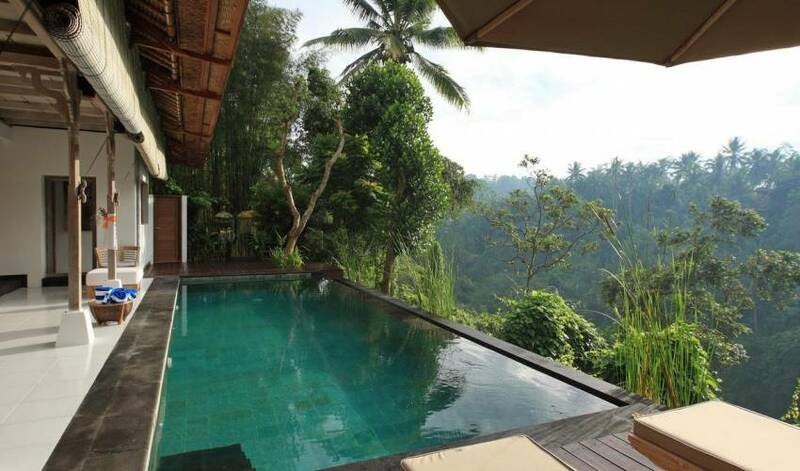 From this exclusive location, view the vista of the sunrise over the valley each morning as you wake. The upstairs living area is furnished with two teak day beds, one large sofa chair with ottoman and a coffee table. 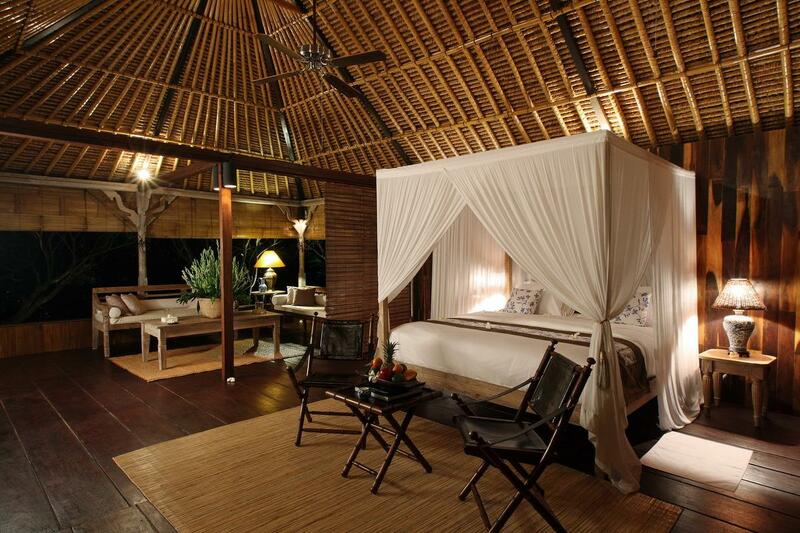 Enjoy lounging back amongst the traditional batik cushions or use as an extra bedroom. Coffee and Tea making facilities and iPod dock are available upstairs for your enjoyment. The villa team consists of four full time staff members who will take care of food and beverage service, housekeeping, laundry requirements and security. The villa staff arrange transport to and from the Airport and other areas for sightseeing. The villa has several reliable contract drivers. Rates may be subject to fluctuation depending on each driver. DINING The villa provides in house dining (Breakfast, Lunch, Dinner) Perfect for lunch by the pool or a romantic candle lit dinner on the outdoor dining deck. Breakfast is complimentary. Afternoon Tea (15:00 - 17:00) - Complimentary with Balinese sweets. Sunset Cocktail Hour (17:00 - 19:00) - Before dinner, guests can enjoy lounging on the sofa facing the infinity pool overlooking the valley. 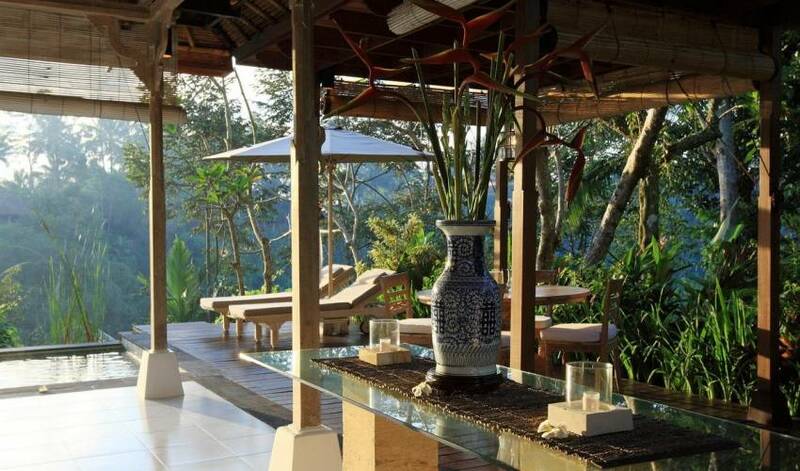 A Balinese masseuse is available for massage at the villa. Relax on the poolside deck with our selection of Spa music CD's. Please ask the staff to arrange. Also pedicure/manicure available. Price depends on selected treatments. Our staff can arrange a flower bath with candles and aroma oil, at the cost of products used, for the guests to be pampered and rejuvenated completely. Each guest is provided with one complimentary selected natural aroma bath bomb. A laundry bag is located in the wardrobe. Please place garments for laundering in the bag. Our staff will collect the laundry each morning and return it to you within 24 hours at a small cost. Payment shall be made when you check out. We can arrange traditional Balinese music and/or dance during dinner. It is something very special to remember your stay in Bali. Price depends on number of musicians and/or dancers. 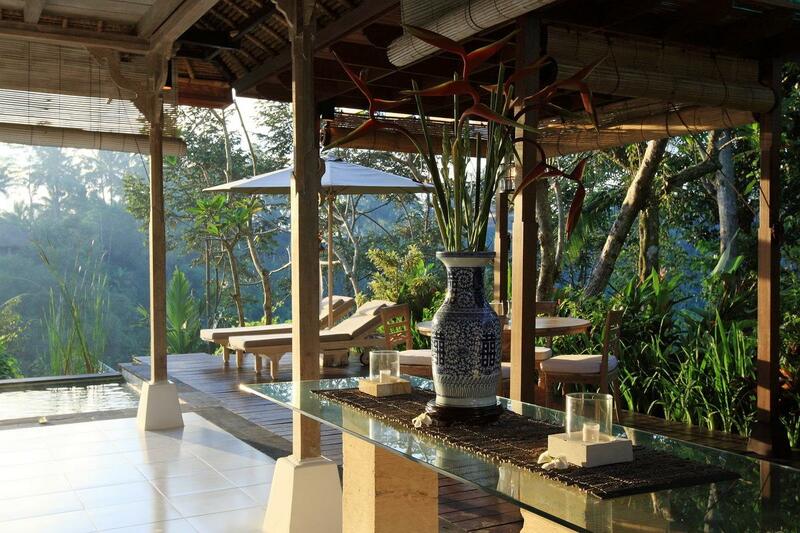 Our chef provides a simple Balinese cooking lesson at cost of ingredients and small gratuity. 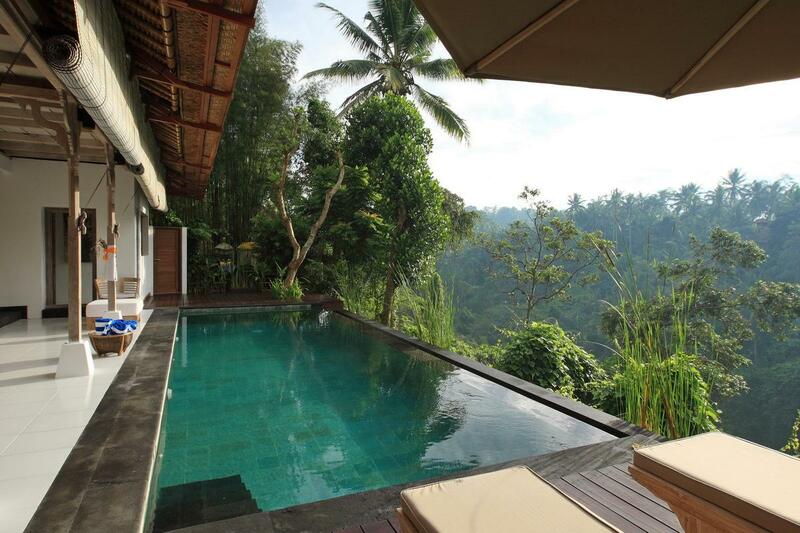 Villa 3276 is very conveniently located in a small traditional village called Payogan which means "place to do yoga". 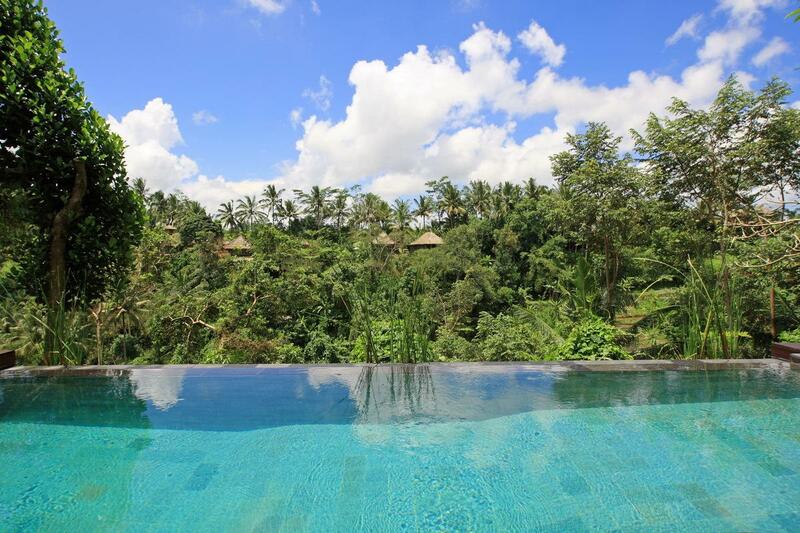 Although just 5 minutes drive from the centre of Ubud one senses they are miles away in the middle of a tropical forest. This hidden gem allows you to experience seclusion whilst remaining a stone's throw from all conveniences. A few minutes drive from the villa the Sangingnan area offers a variety of culinary and shopping experiences. Among them is the world famous Mozaic restaurant for fine dining and other places popular with expats such as Nuri's and Fly Cafe. Also, many art galleries, antique shops, spas and a yoga studio. 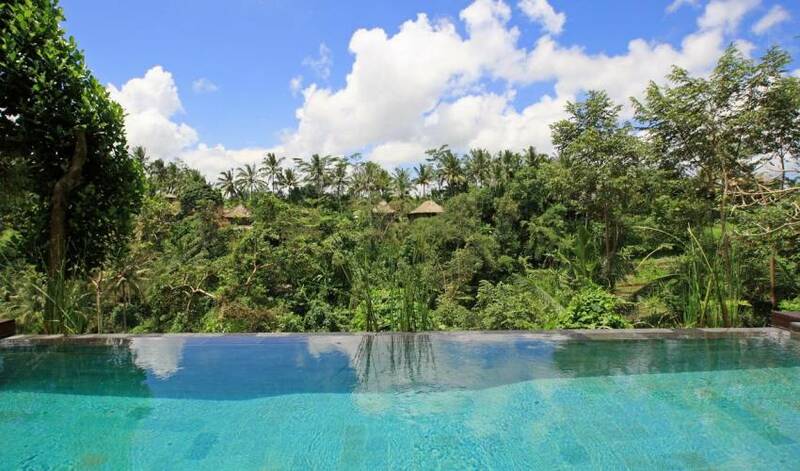 The villa is about one hour and fifteen minutes from Bali's Ngurah Rai International Airport.